With almost 25 years of commercial brokerage, tenant representation, asset management and development history in the SW Florida market, Andrew Saluan has extensive experience in all facets of the Commercial Real Estate industry. Mr. Saluan has been a party to Hundreds of Millions of Dollars in commercial real estate transactions ranging from buyer and seller representation in raw land, shopping center and office sales to lease transactions from 1,000 sq. ft. users to national tenant anchor spaces of over 30,000 sq. ft. This unique combination of expertise including commercial property management, leasing, complete asset management, land entitlements, and the development of both residential and commercial projects, provide Mr. Saluan with the background and resources to provide solutions in all phases of the Commercial Real Estate industry. In recent years, Mr. Saluan has focused his expertise on the acquisition, leasing and asset management services for retail and office properties ranging from 4,000 square feet to over 200,000 sq. ft. These include centers which are unanchored as well as properties anchored by national tenants. Andrew is a graduate of John Carroll University in Cleveland, Ohio with a degree in Business Finance. He holds a Juris Docorate from Cleveland State University, John Marshall College of Law. Ms. Salvatori is a recent graduate of Florida Gulf Coast University with a bachelor’s degree in business management. While attending Florida Gulf Coast, Ms. Salvatori worked for AJS Realty Group as an intern, continuing her employment with AJS Realty Group after graduation where she has specialized in marketing, property management and leasing of commercial properties, having received her CAM license from Larson Educational Services. Ms. Salvatori is a lifelong resident of Naples, and has established many business and professional relationships throughout the Southwest Florida community. Ms. Salvatori’s personal dedication, and her familiarity with Southwest Florida, the Southwest Florida market and the players in the local commercial real estate industry, provides her with invaluable insight in her analysis of commercial properties, and how to market properties for lease or sale. Jeff Clapper has been a resident of Naples, FL since 1983 and has been in the commercial real estate field in SW Florida for 11 years. He is a graduate of Naples High School and received a BA from Furman University (Greenville, SC). Jeff has extensive experience in retail, medical and office leasing, as well as sales and acquisitions of investment properties and land. Jeff also has experience in property management. 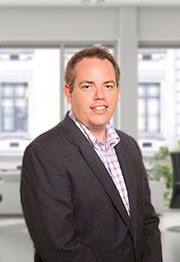 Prior to joining AJS, Jeff was a Senior Associate at Equity, Inc., a full service brokerage firm based in Ohio. From 2008 to 2015, he served as the Leasing & Acquisitions Manager for SW Florida for Courtelis Company, an owner/developer of shopping centers. 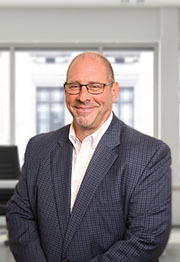 Jeff is experienced in working with all types of clients, from local investors, tenants and owners to national retailers, large institutions and REITs. He has been a member of ICSC since 2008. Before to entering the commercial real estate field with Cameron Real Estate Services, Inc. in 2005, Jeff worked as a paralegal at the Collier County Attorney’s Office specializing in eminent domain and transportation issues. Jeff has been heavily involved in downtown Naples, having represented the largest landowner on 5th Avenue South from 2009 to 2015. He has also served on boards for the City of Naples and the Downtown Naples Association (the predecessor to the Fifth Avenue Business Improvement District). Jeff is proud of his involvement in the Naples community and has given back through his service in Rotary International and the Naples North Rotary Club. He is a Past President of Naples North Rotary and serves on the Board of Directors. Lara Bargar Florida Real Estate Broker (BK3313238) with nearly 15 years of residential and commercial real estate experience: specializing in retail, office, industrial and mixed-use space. 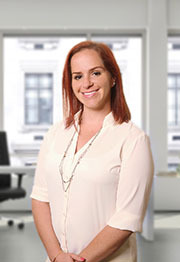 Prior to joining AJS, Lara worked with Miromar Development Corporation as their Leasing Executive. Prior to Miromar she worked with CRE Consultants specializing in all aspects of retail and office leasing as a tenant and landlord representative. Prior to joining CRE she was a Leasing Director for Cushman Wakefield | Commercial Property Southwest Florida specializing in office and retail leasing, business development and investment sales. Previously she was an Associate Broker with Wheeler/Brand Management Company in Duluth, Georgia where she was a respected team leader and leasing manager for nearly 10 years. Her expertise was Landlord Representation and Client Account/Property Management, where she handled large portfolios ranging from small un-anchored retail strip centers to multi-tenanted grocery anchored neighborhood centers to large regional malls and multi-story office buildings for her owners. Lara is a member of the International Council of Shopping Centers (ICSC), Business Networking International (BNI) and SW Florida Commercial Alliance (SWFLCA). She earned a B.B.A. degree, graduating with honors from Campbell University. Living in In Naples since 1995, Holly is an experienced and highly engaged accounting professional who has been in the business for nearly twenty-five years. 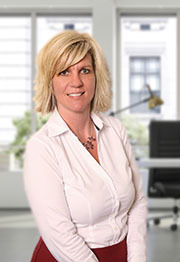 Holly has worked in the construction, insurance, software development and real estate markets. Prior to coming to AJS Realty Group, Holly worked at John R Wood Properties as part of their staff accounting team. Holly brings her expertise in all areas of finance, accounting, operations, sales, marketing, compliance and administration to our team. 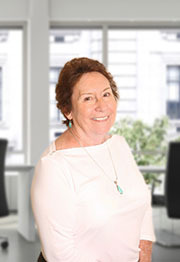 Carol has forty years of experience as a highly skilled accounting professional, with a diverse background in commercial property management accounting, as well as the construction industry. 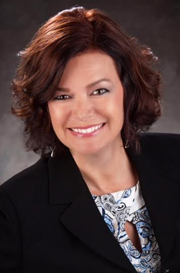 Upon arriving in Naples in 1996, Carol joined Cameron Real Estate Services, Inc. as the Comptroller for the Property Management Division, until joining AJS Realty Group Inc. in 2015. She brings a well-rounded background to the team in all aspects of the accounting process, management, and business operations. 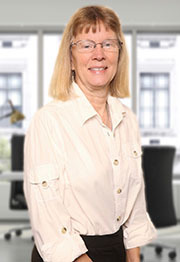 Carol is licensed in Florida as a Real Estate Sales Associate. Deena has worked in the real estate field since completing high school and has lived in Naples since 1970. She obtained a Bachelors degree from the University of South Florida. Upon completion of college, Deena went to work for Collier County in the Real Property Management Department, where she stayed for over ten years, moving up the ranks to Supervisor. She then took a position with a real estate law firm before joining AJS Realty Group in 2000. As the longest tenured person at AJS, Deena has performed almost all functions within the company at one time or another. Most recently she performed accounting functions for AJS owned or managed properties, as well as acting as office administrator.